For the US & Canadian market 'Happy People' was replaced by 'State Farm'. Even on CD and Cassette issues it wasn't included again. I've got the promotional edition. Yaz's first album, the very well-crafted Upstairs at Eric's, was sort of their way of telling the world, "This is how you make electronic music." 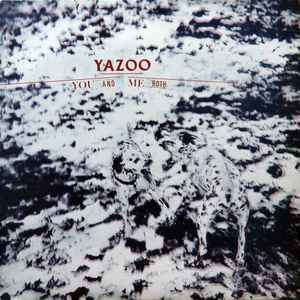 This album shows a more mature Yaz, with songs about more serious subject material, including sending a child off to war ("Unmarked"), and relationship issues of all types, from being in one that you know is failing ("Sweet Thing") to begging an ex lover for a second chance ("Nobody's Diary"). This is definitely a staple in my collection and I highly encourage any fans of synth-pop to check out thie record. You'll be blown away!